You will need to download the GPX files from your Library. If you purchased your book from us then it should already be in your library. If the book cover is not showing in your library then you can add it to your virtual bookshelf. The GPX files are collections of data points - they are not maps to the routes. The files are contained in a .zip folder. You will need to extract this .zip folder and then use a GPX reader to open the files. This is easiest to do on a desktop computer. 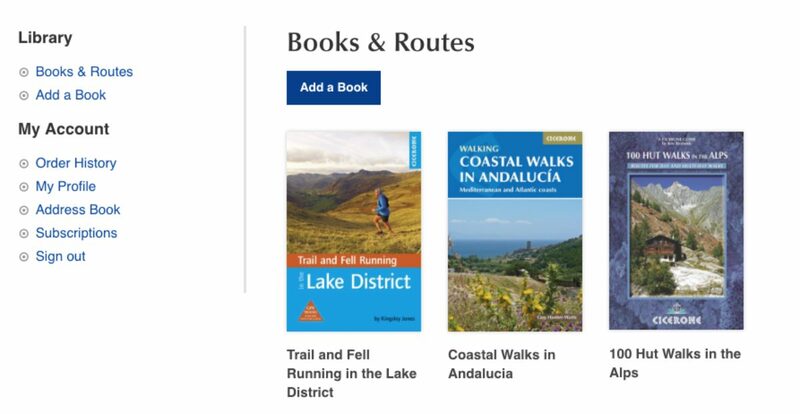 We do not have GPX files for every book. If the "Download GPX Route Files" button does not appear then we do not have them for this title.